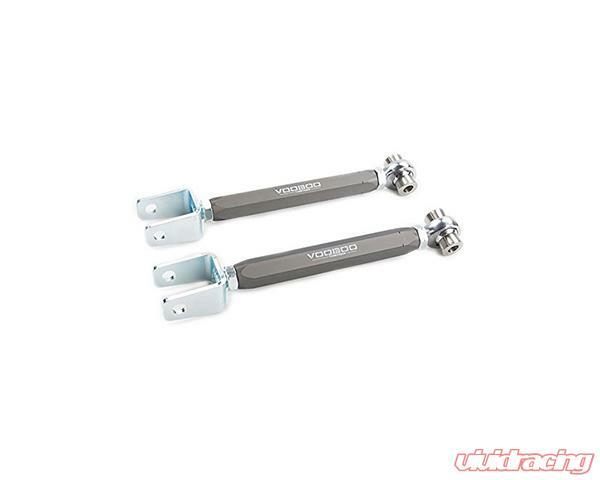 Voodoo 13 rear camber arms provide a wide range of adjustment for those with lowered vehicles that want to correct their rear camber and improve handling. Voodoo 13's camber arms are constructed from a 6061-T6 aluminum hex for easy adjustment and are CNC turned for precision fitment. Brackets are fabricated from machined fit parts and TIG welded together guaranteeing strength and quality. 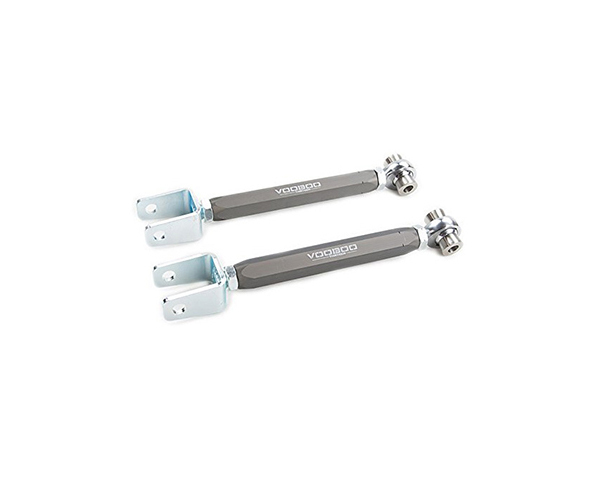 For the ultimate in performance rod ends Voodoo 13 uses USA made QA1 XM Endura series chromoly steel heim joints which feature a self-lubricating and self-sealing Nylon/PTFE injection molded race that keeps dirt and debris out. Adjustment range: +/- 5 degrees from stock arm.